Want to practice those tricky triple step turns? 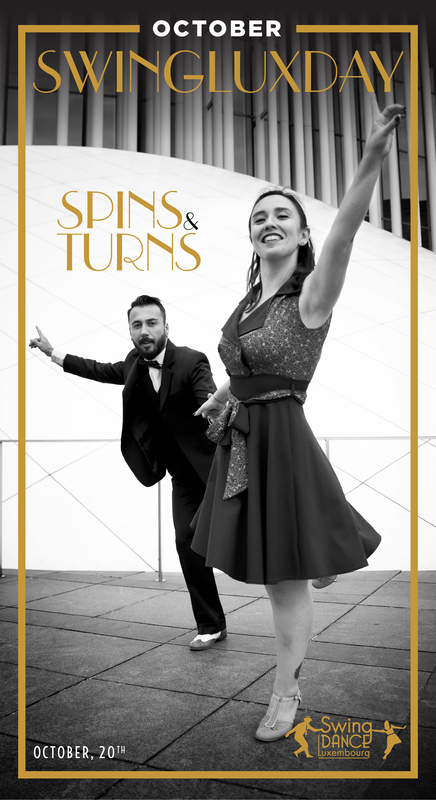 Want to feel more comfortable doing spins? Come and join this workshop! Basic knowledge of Lindy Hop is required to follow this course for both leaders and followers. Swing Rueda is a fun variation of Lindy Hop that’s danced in a circle, while frequently changing partners. The leader of the rueda calls the moves, which are mostly regular Lindy Hop moves. We will sometimes get into a dancing flow, but we can also end up laughing in a happy chaos. And for this occasion we will prepare a few scary Halloween moves. If you can dance a swing out, join us for 2 hours of Swing Rueda fun! Do you want to learn how to create rhythms with your feet? Join this beginner tap class. You will learn some basic tap steps which we will put in a small routine at the end. No tap shoes necessary. Basic knowledge of Lindy Hop is helpful. *After classes we’ll swing the evening out in Altrimenti with ‘A Small Act of Surprise’! -Please mention in the “Note” section, which course you took in the past or what is your dance experience to help our registration team. **Thank you for your patience, you will receive payment details as soon as we are able to confirm your place in the workshop. Ceren is a lover of old time swing era movies since her childhood. From the moment she saw Lindy Hop social dancing at a music festival, all she could think about was to be a part of it. She started dancing Lindy Hop and Authentic Jazz as a member of Istanbul Lindy Hoppers and later became a local teacher for Istanbul Lindy Hop community. Ceren, as a dedicated lindy hopper, perceives Lindy Hop as a foreign language that allows us to communicate with each other and share beautiful moments in many different ways. Currently, she is based in Luxembourg and very excited to share her passion and enthusiasm with all of you! Despite getting off to an inauspicious start by being thrown out of my ballet class aged 5, I have always loved dancing, music and rhythm and have made up for that early glitch, learning jazz dance, tap, flamenco, line dancing and belly dancing in my past life. When I moved to Luxembourg I went to salsa classes from the start and do still enjoy it. 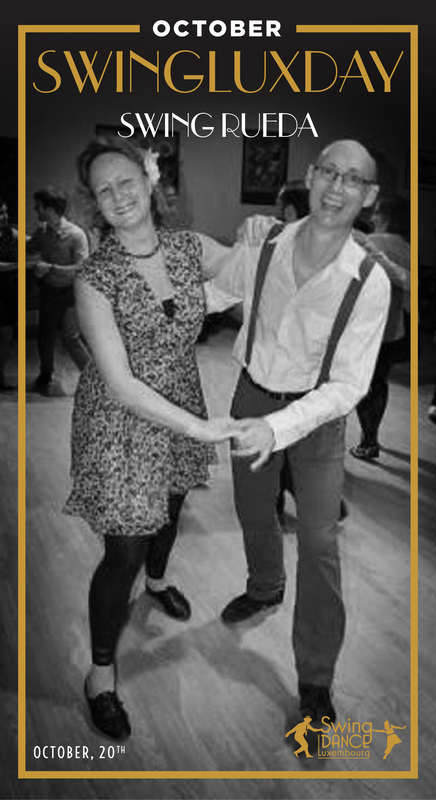 Then in 2009 I saw an advert for Einar and Ieva’s lindy hop classes, went along with curiosity and interest and never looked back. The swing dance scene is welcoming, forward-looking and, most importantly, fun! Thanks to the regular workshops organised I have been introduced to blues dancing, which I also love. I particularly appreciate the fact that the social dancing is very inclusive, everyone asks and dances with everyone else, with none of the elitism often found in other kinds of dancing. I discovered Lindy Hop back in 2004 in Lithuania and it has been my main hobby and passion since then. I love Lindy Hop because it’s such a joyful dance. It makes me smile, it makes me feel happy and when I put on my dance shoes and get on the dance floor it seems like all the daily problems have disappeared. And of course I love swing music which is so closely connected to the dance. I also dance Balboa, Authentic Jazz and Tap. Because of Lindy Hop I met so many nice people all over Europe and made great friends here in Luxembourg. 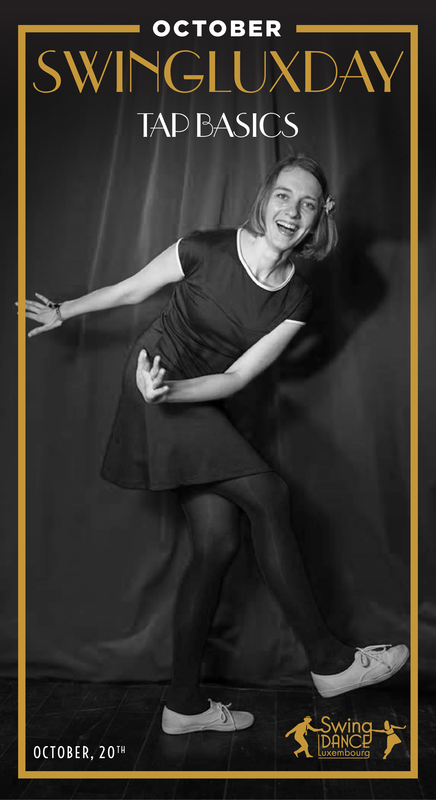 I am one of the founders of the Lindy Hop scene in Luxembourg and it’s been such a great experience to share this joy of dancing with other people. 1) Full refund with a 5€ administration fee will be possible up until October 18th, 2018. 2) No refund is available for any cancellations made after October 18th, 2018.
d) The communication of this transfer to SDL must take place no later than October 18th, 2018.